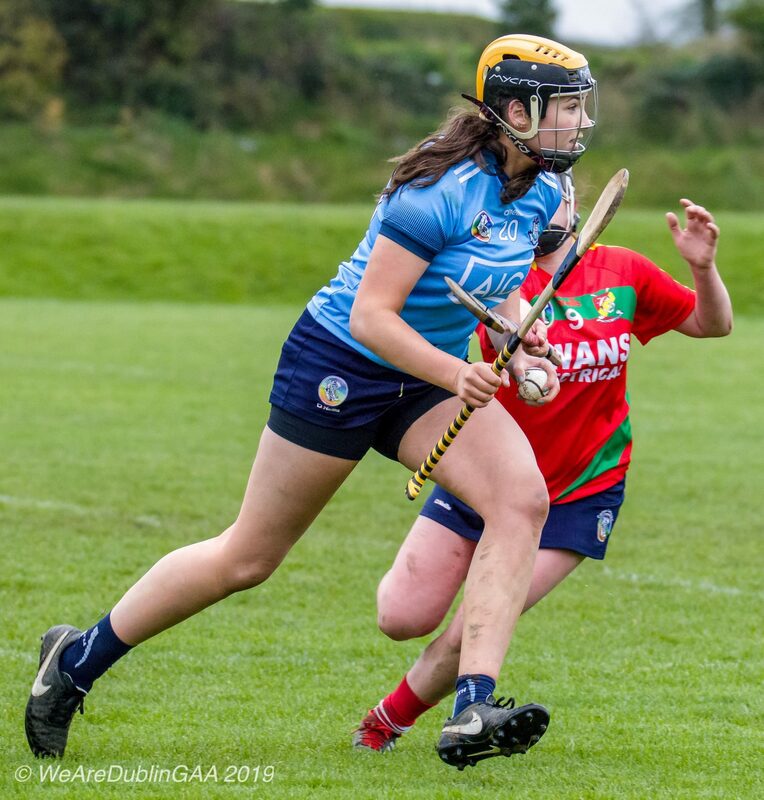 A storming second half performance secured Division 2 status for the Dublin Intermediate Camogie Squad In this afternoons Littlewoods Ireland National Camogie League relegation play off. Dublin were full value for their 16 point victory over a Carlow side who had no answers when the sky blues went up through the gears in the second half. At the break Carlow were still very much in this relegation play off game with just a goal between the sides. 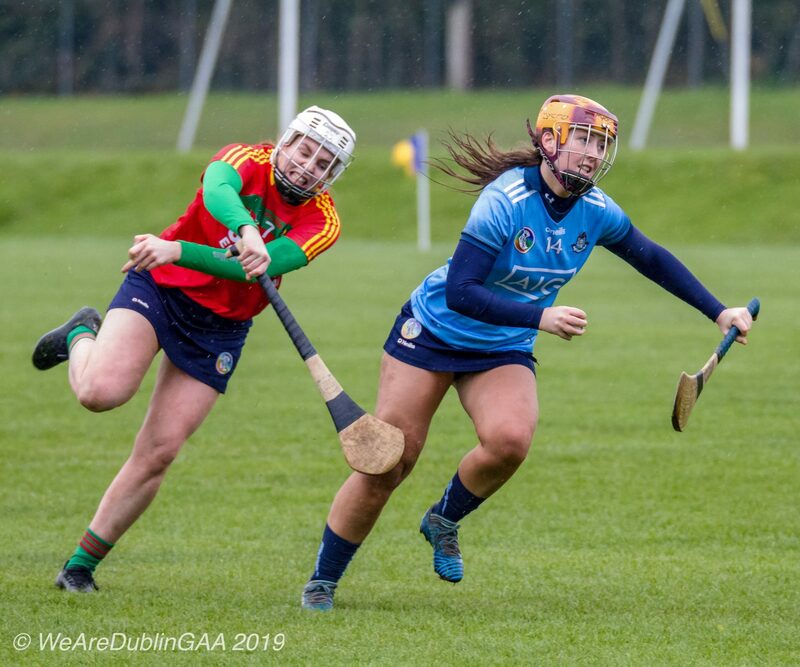 But Dublin opened their shoulders on the resumption and their pace, power, movement and quick delivery of the ball into the forwards proved too much for a Carlow side who failed to score in the entire second half. Carlow registered the first score of the game in the opening minute with a converted free from Eleanor Treacy. Two minutes later and a fine effort from Dublin’s Niamh Rock brought the sides level. Another pointed free from Eleanor Treacy put Carlow back in front. Dublin though took control of the game in the 6th minute with a quick fire 1-01 from Sinead Wylde give the Dubs a three point lead, a lead they never surrendered. 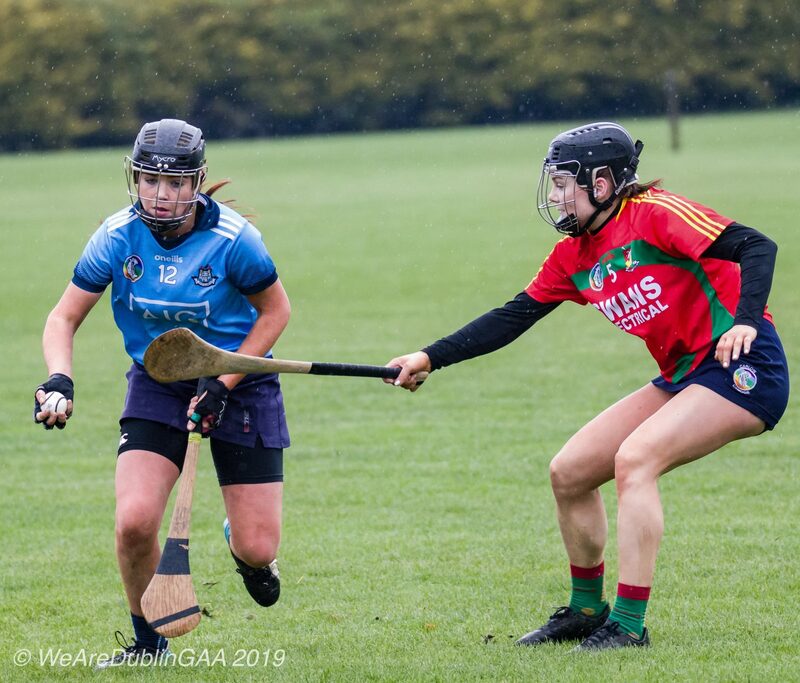 Another successful free attempt from Eleanor Treacy reduced the gap, but Dublin hit the next four points, Niamh Rock with two frees and two efforts from play scored by Evelyn Twomey and Sinead Wylde to lead by six. Carlow kept in touch though thanks to a couple of frees of the soft variety converted by Eleanor Treacy and just before the short whistle Ciara Quirke scored Carlow’s only score from play on the day to leave the score at the break 1-06 to 0-06. 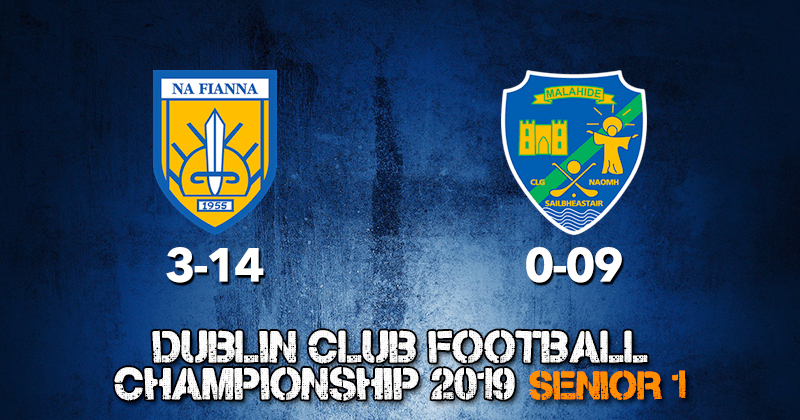 The illusion that this relegation play off was still in the balance was quickly exposed as Frank Browne’s Dublin outfit cut loose after the break. With the Dublin defence, particularly in the second half rock solid, Carlow got few sights of the Dublin posts. As a result it was one way traffic for the majority of the second thirty minutes. Dublin made the wealth of possession count reeling off an unanswered 1-10. What was more impressive was all of those scores came from open play. 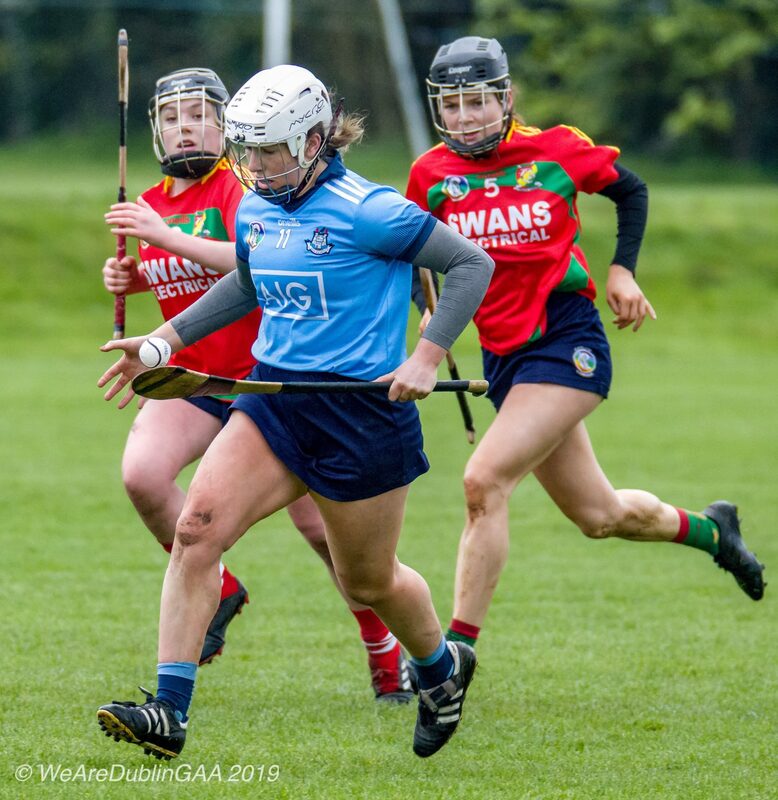 Two points from Niamh Rock, a hat-trick of points from Aoibhe Dillion and one from Grainne Power pushed Dublin nine points in front with as many minutes left in the game. Second half substitute Laura Walsh made it a double digit lead with a fine point. Sinead Wylde spilt the posts and Laura Walsh grabbed her second point since being introduced to the proceedings. Although this relegation play off game was well and truly over Dublin continued their relentless assault of the Carlow posts. With two minutes remaining Sinead Wylde after some great buildup play buried the ball to the net to register her second goal of the game. 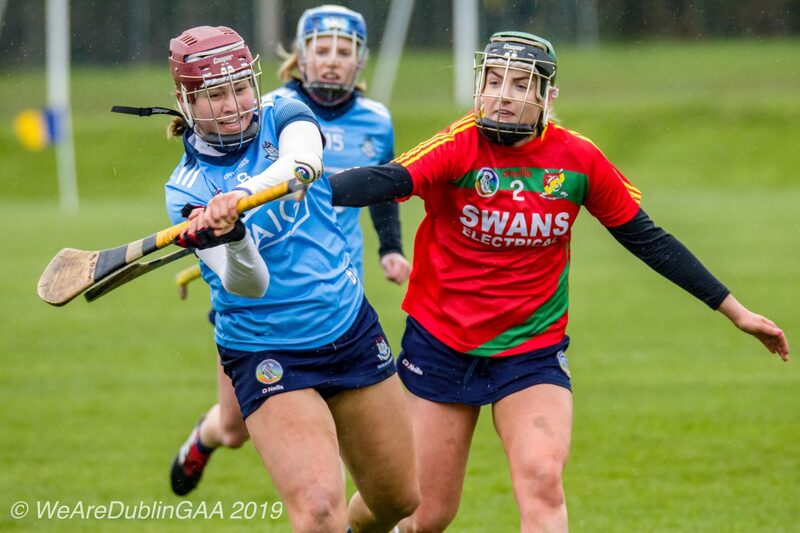 In added on time Laura Walsh scored her third point of the half and Dublin ran our deserved and comprehensive winners with Division 2 League status secured for the 2020 season.